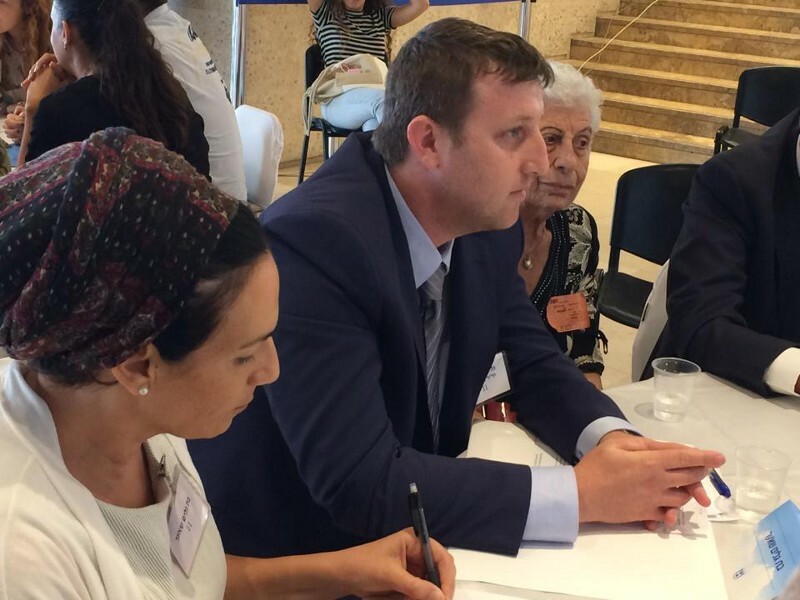 On June 28th we were invited to the Knesset, where they held the first “Unity Event”, to come up with ways to bridge the gaps between the Israeli people despite differences. Gal Kalkshtein, the Founder of GKI Group, and CEO of the Israeli Startup Lobby, was there to attend and head one of the 12 “Round Tables”. The unity event consisted of 12 round tables discussing different subjects, each one with different members, including MKs, journalists, and relevant people from the industry. Gal was there to speak at the round table of “the networks of shaming”, concerning shaming and cyber-bullying on social networking sites, amongst teenagers and more. As said earlier, the entire event was about unity, and the plague called “shaming” is part of the problem that prevents unity from happening. The people at the round table, other than Gal Kalkshtein, were MK Mickey Levy (from the “Yesh Atid” party), MK Nava Boker (from the “Likud” party), other journalists and related people, and Bat Galim Shaer, mother of Gil-Ad Shaer, one of the famous “three boys”, kidnapped and murdered prior to the “Protective Edge” operation. She was one of the organizers of this entire unity event. We’ll start with the MKs. Mickey Levy spoke about “giving a personal example”. When people watch Channel 99, the channel of the Knesset, they see our leaders and public representatives talking in raised voices, shouting and clashing through loud words. That’s not the way to debate, and he thinks that change should start with them. First, they need to know how to act, and then set an example to the rest. Nava Boker shared a story that she once wrote a post online and recieved a massive amount of unpleasant responses. She suddenly found that many people on Facebook were insulting her, her opinions, and some even threatened her life. She said that she joined the party, the Knesset, to make a change, to help, to make things happen, and suddenly she became the enemy of the people. Next to speak was Jalal Safadi, Director of Society and Youth Administration, at the Arab society. He started by saying that his mission is to give the Arab youth a better future — how to integrate into society, cooperate with Israelis, and be proud of oneself both as an Arab and Israeli citizen. Afterwards, he started talking about shaming and its consequences. He was a close friend of Ariel Runis, Interior Ministry official who committed suicide after being accused of racism over Facebook, in a post that turned viral. Jalal mentioned that he knew him since they were working together on joining the hearts of Israelis and Arabs. He also mentioned that he’s dealing with youth and tries to teach them how to be polite on social networks. For example, if someone says something non-mainstream, supporting Israel, some other students could speak out against them in taunting ways. He’s working on ending this conflict, and he supports enacting a law against shaming, personal discrediting, and teaching how to act and not how to attack. Next was Esther Liebersohn Namer, VP of SessMe, an instant messaging app with a twist — it lets you delete any message or photo you sent from any device it was sent to. Hence, preventing shaming and spreading your private photos to unwanted people, as it can happen when you use WhatsApp or other photo messaging services. Other than her job as the VP and Founder of the app, she spends her time lecturing to youth, while fighting shaming wherever she can, and she’s working with the Ministry of Education to help them start a program to educate against shaming in schools. She claims that the issue is that teenagers can’t control themselves and the information they are forwarding, and we need to use technology to fight back against this plague called shaming. To sum it up, Esther thinks the way to prevent shaming is built on 3 main things — education, technology and improving teenager’s self-esteem. 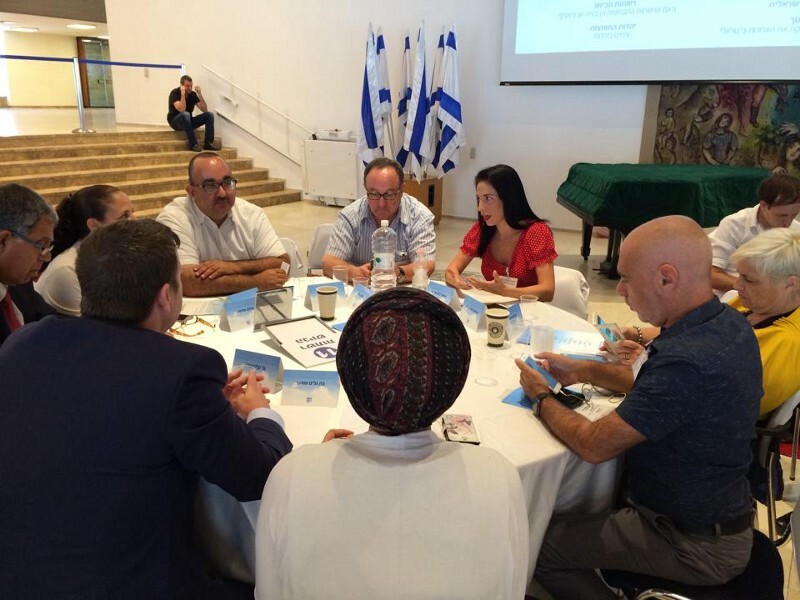 Another member at the table was Moni Brosh, VP of Channel 20, which identifies as right-wing. He claimed a group of leftists grouped together to shame their channel and neutralize its legitimacy. Other than shaming on other websites, they were also replying to posts on their Facebook page, against the channel and its ideology. He reported that the he was fighting it by hiring employees to be in charge of monitoring the comments, and deleting each one which was slandering the channel. Heli Fridman, the CEO of the WLP, Women’s Leadership Parliament in Israel, was also there to share her thoughts. She’s working for unity; she teaches a class with 35 women — Arab, Orthodox, Religious, Bedouin, Secular and others, bringing together the entire spectrum and empowering the women. She thinks that the problem with shaming is the lack of punishment and laws against it, so she came up with a way to prevent it. She’s selecting pupils to become their school’s Ambassadors against shaming, preventing other kids from doing so, and lecturing about it. Last but certainly not least, Gal Kalkshtein had some interesting points to share. “If we ask a kid or a teenager if they are allowed to beat someone, most of them will say ‘No!’ and that’s because they were taught this way, but if we ask them if it’s okay to mock someone on Facebook, the answer we’d get wouldn’t be so unambiguous because they weren’t taught not to. The education system is still not taking any steps to teach this subject technologically and this is the time to start teaching it. The situation will only get worse as technology evolves, and if we won’t evolve as a society, the enforcement be able to keep up. Today there is no ruling at all regarding this issue, or very little, but too little can’t help. We see that one-way people are dealing with shaming is with shaming the one who started shaming, and that’s the just like beating someone who beats others, or fighting fire with fire. The solution must come from educating the parents, who can then educate their children. He also mentioned Bosco app, a venture of sFBI that was created to solve this very issue. Bosco is an app for parents to monitor their kid’s social activity and prevent cyber-bullying. It uses voice analysis to check if your child is upset, alerts when a lot of people unfriend the kid at the same time, and analyzes messages and texts (without showing the actual text) to see if the kid is being bullied or talked to aggressively. That’s the technological way to fight shaming. After each table summarized its outcomes, we realized that this event really helped the unity. There was a hall with 12 round tables, dozens of people, all talking at the same time, but acting politely, respectfully, and not yelling over one another (as you may witness in the Knesset, like MK Mickey Levy said). This event was a success and we hope important connections were made in the process, to solve the problem of shaming in social networks and making the environment for kids and teenagers in the internet safer. We were honored to have our Founder Gal, the CEO of the Israeli Startup Lobby, speak at the Knesset again yesterday about internet shaming. Here he is pictured with MK Mickey Levy.